I love change. Not when it comes to people, such as friends moving away, but I am a big fan of moving furniture around, trying new restaurants and changing my hairstyle. As long as it keeps things fresh and interesting. I love to take risks with my hair and make statements, therefore I have this itching feeling to chop it or perm it. 7 & 8-I love the longer layers of Carrie & Rachel’s do’s. Plus I would be able to pull my hair into a ponytail. 9-I’ve never really thought Jessica Biel was that pretty until I saw this picture (plus, she stole JT, so I don’t know if I can ever forgive her), but I LOVE the ombre color she’s rocking and the beachy, long layers with thick bangs (I’m not ready to give mine up). 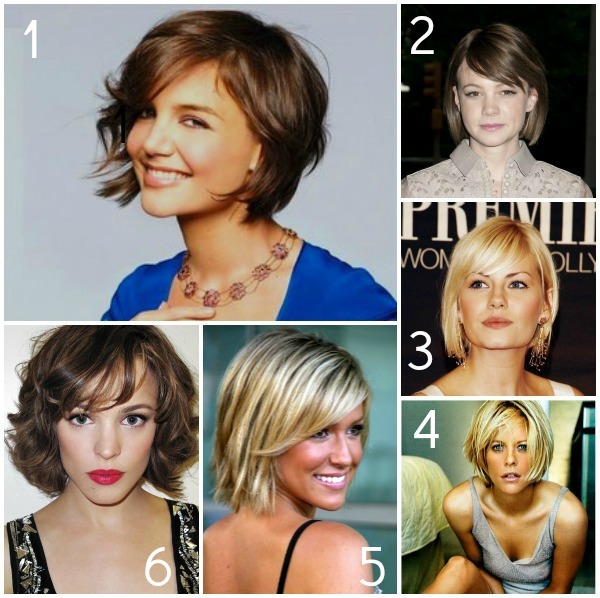 10 & 11- I love these medium length cuts, especially #11’s waves. And “The Carrie Diaries” has me wanting to perm my hair so badly. I mean, who wouldn’t want these Goldilock-can’t-keep-your-fingers-out-of-my-hair curls?! So, so, so pretty. Posted in Beauty, Fashion, Fashion Friday, Hair, Inspiration, Pretty Little Things, Random and tagged Fashion, Fashion Friday, Hair, Inspiration, Personal, Pretty Little Things, Random, San Diego. Bookmark the permalink.